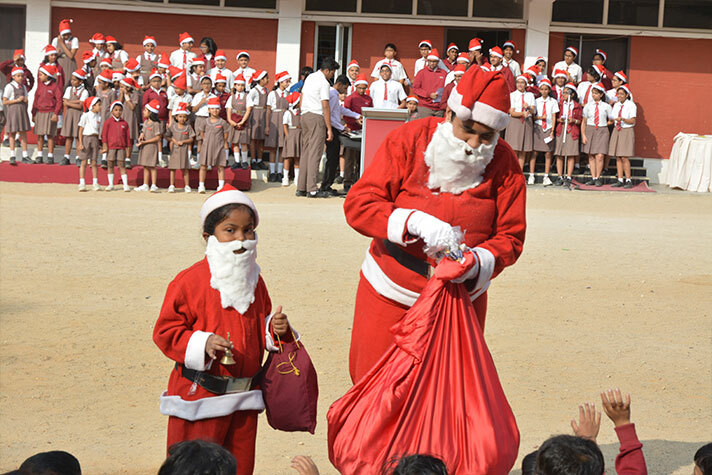 It was surely a Christmas to remember on the 20th of December at NPS RNR. 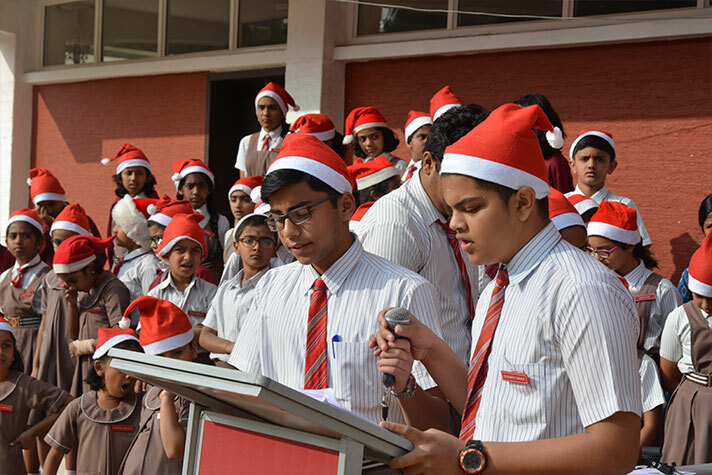 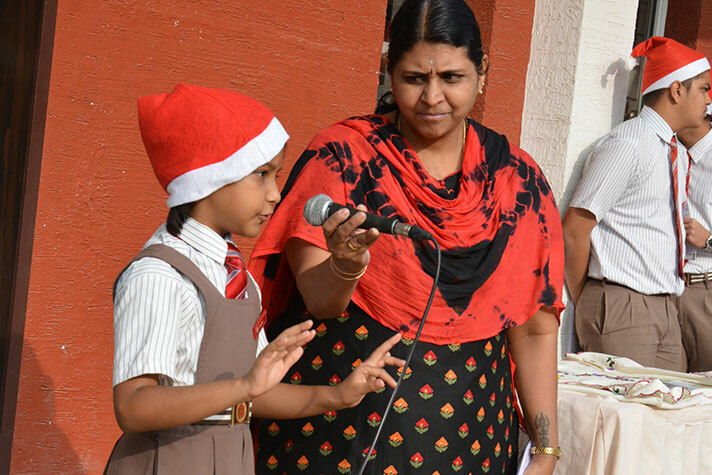 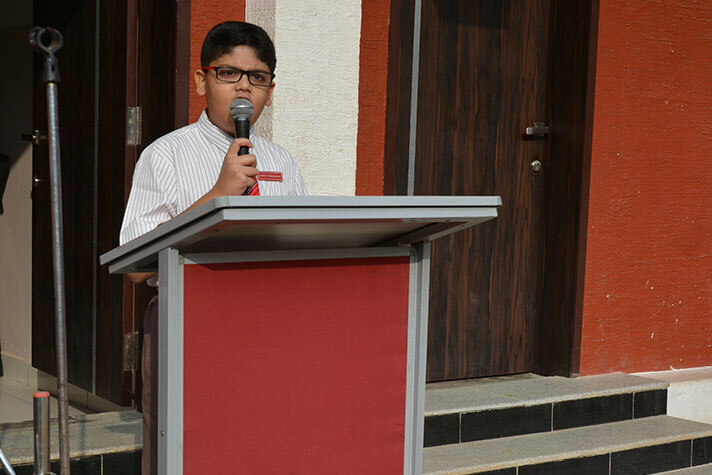 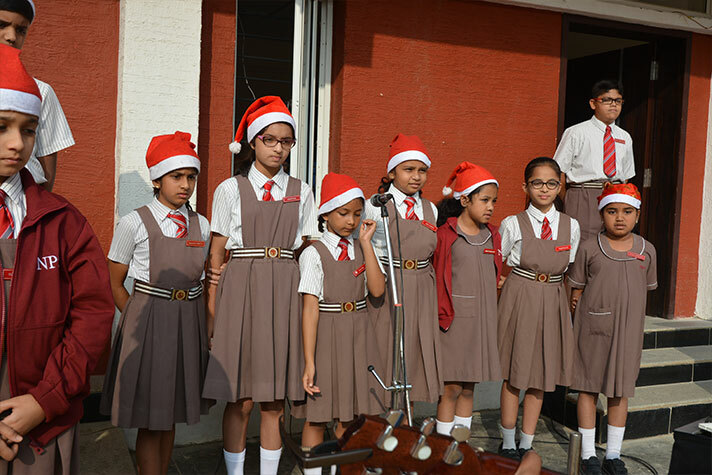 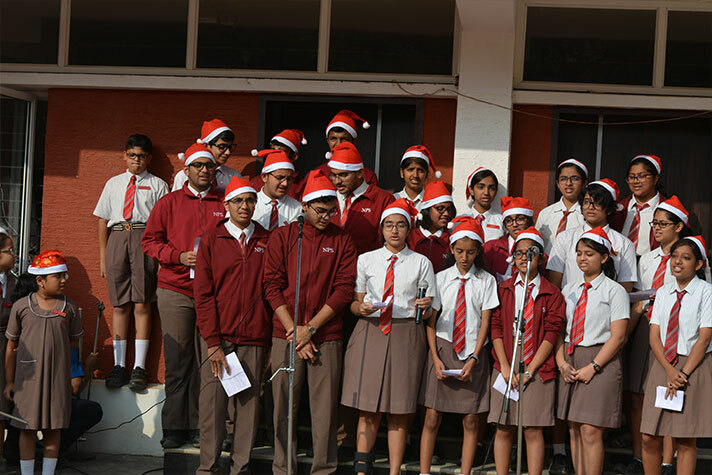 The essence of Christmas came alive when students came together and shared the merriment through a speech, a self-composed poem and carols. 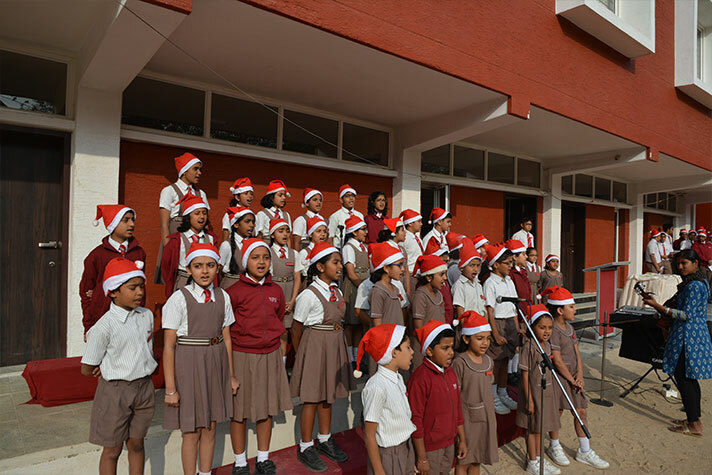 The school wore a festive look with bells, streamers and a beautifully decorated Christmas tree. 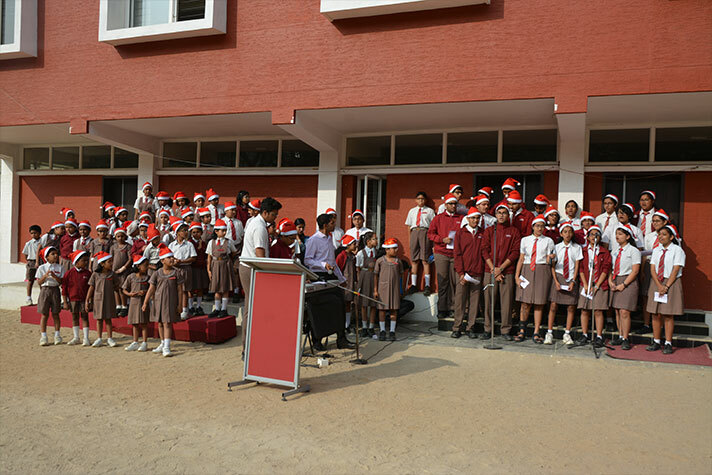 The school reverberated with the melody of Christmas carols as the children were told about the spirit of Christmas and the legend of Santa Claus. 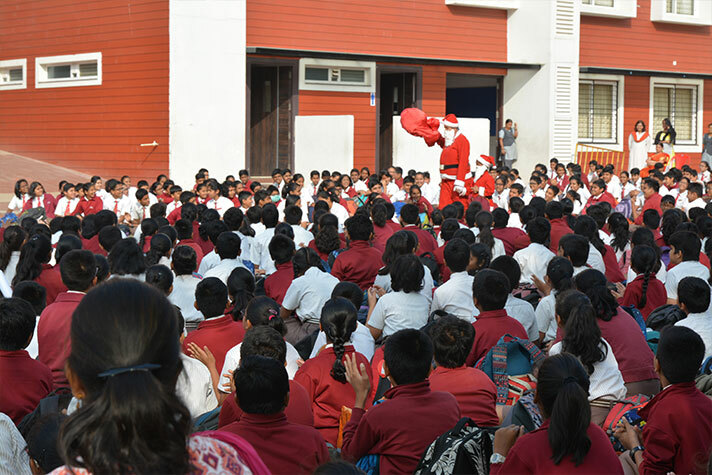 There was a burst energy with Santa’s visit in the assembly.